Prince Harry and Meghan Markle, who tied the knot in May 2018, are expecting their first child together this Spring sometime in April or May. The Duchess recently celebrated her 37th birthday with husband Prince Williams and their 3 children – George, Charlotte, and Louis . 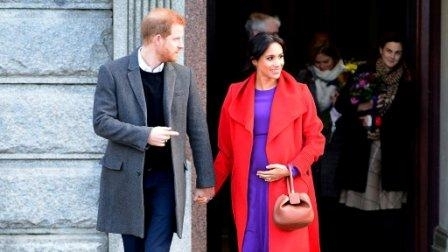 The Duchess of Sussex chatted with well-wishers in Birkenhead and revealed the couple don't know whether they're having a boy or a girl, as they want it to be a 'surprise'. Kensington Palace publically revealed Meghan's due date.